What’s the Price for the 2019 Chrysler 300? How Many MPG Does the 2019 Chrysler 300 Get? What’s New for the 2019 Chrysler 300? This will be the final model year for the Chrysler 300 and it plans on going out in style and class. It will be available in 4 different trims in 2019, the Touring, S, Limited, and C. With the different engine and AWD/FWD options, there is a 2019 Chrysler 300 to meet everyone’s needs. The base level Touring and Limited trims are powered by a 292-horsepower, 3.6-liter V-6 engine. 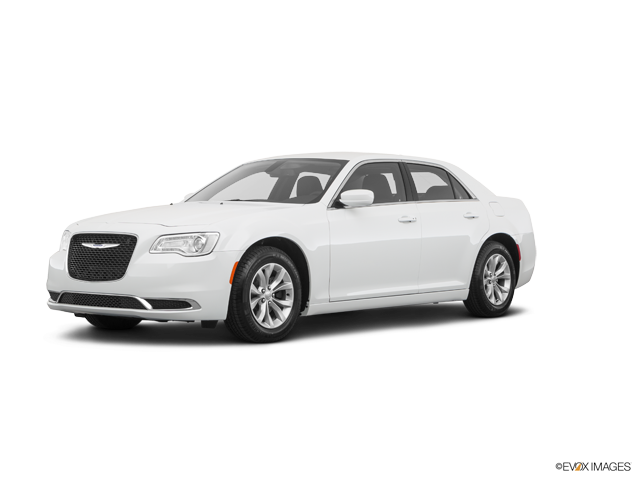 For the S trim, Chrysler went with a 300-horsepower, 3.6-liter V-6 engine. Finally, those seeking even more power have the option of the C trim, which is powered by a 363-horsepower, 5.7-liter V-8. Each of these engine options comes perfectly paired with an 8-speed automatic w/OD and auto-manual. All of these trims have both rear-wheel and all-wheel-drive options with the exception of the C. This top-of-the-line trim only comes in rear-wheel-drive. Being a large sedan, the Chrysler 300 will continue to have plenty of room for your passengers and your gear in 2019. Higher trim levels enjoy luxurious indoor features such as a leather-wrapped steering dash, open-pore wood, and an analog clock. The base audio system includes Bluetooth and an 8.4-inch touchscreen. The 2019 Chrysler 300 is compatible with both Android Auto and Apple CarPlay. The S trim of the 300 has many fun and convenient features. It gives drivers keyless ignition, heated front seats, dual-zone automatic climate control, and 18-inch wheels. Limited versions of this vehicle add a sunroof, navigation, wood trim, and cooled front seats. For drivers who crave the power of a V-8, the C trim comes with plenty of top-of-the-line features. It has 20-inch wheels, a sunroof, heated seats in the front and back, leather upholstery, and a wood dash. Optional features on this trim level include a 900-watt, 19-speaker Harman Kardon audio system. as well as a leather-wrapped dash. If you are ready to experience all that the 2019 Chrysler 300 has to offer for yourself, come visit us at Bernard’s Northtown CDJR. The friendly and knowledgeable staff here would be happy to answer any questions you may have. We pride ourselves on our ability to provide superior customer satisfaction while helping people find the perfect vehicle. ** EPA estimated mpg with 3.6L engine and eight-speed automatic transmission, RWD. Actual mileage may vary.